We are considered to be one of the best innovators in our field, and we’ve done it again! 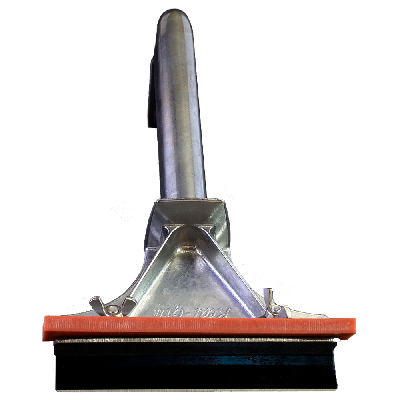 Please take a look at our newly patented Heavy Duty Grill Scraper with Squeegee #181. We designed the original over 40 years ago and this time we’re offering you a “2 in 1” product with guaranteed results. There’s no need to question anything about the durability or productivity or, if we do say so ourselves, the darn good looks of the #181. We use FDA and EU certified silicone. On the off chance that the need arises, we offer replacement parts. What more could you ask for? Flips over quickly to thoroughly clean hot grills.